Discover mountain bike orienteering at a Summer 75 Series event, ideal as an introduction to MTBO or for those wishing to enjoy a summer-evening bike ride of discovery. Riders have up to 75 minutes to visit as many controls on the supplied colour map as you can. You choose which ones to visit and which way to get there and back. Each control is worth 20 points. 10 points penalty per minute for those longer than 75 minutes. Entries: Enter on the day – register up until 15 minutes before start time. Fees: Adults $12, Juniors $6. Map boards and Sportident e-sticks: available for loan. BBQ and Drinks: Stay and socialise after the event. Sausages, cheese toasties and soft drinks available. Download the series brochure here. Starting the series at the ever popular You Yangs MTB park, to explore the flowing and easy riding trails in the Kurrajong Plantation. 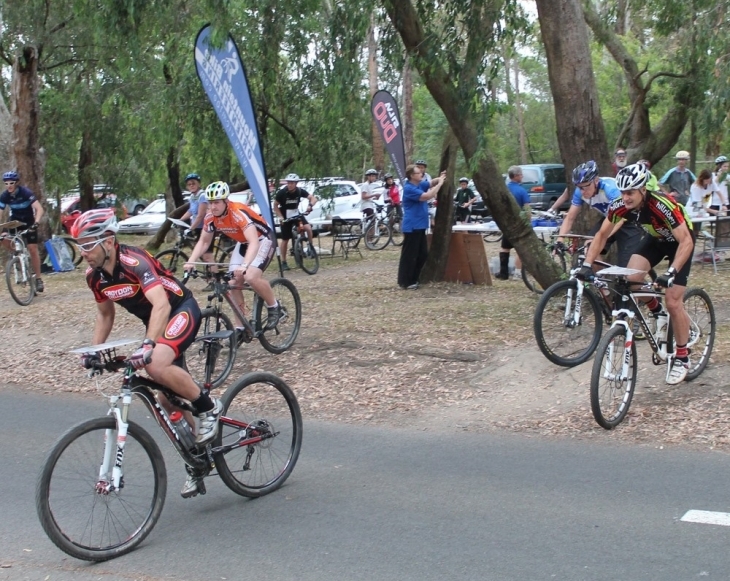 Explore the fantastic MTB trails and forest tracks at Lysterfield. Ride the tracks and trails along the Diamond Creek and nearby reserves. Diamond Creek Reserve. Enter from Main Hurstbridge Road. Park behind Bowling Club. From parks and streets to bush and forest - there is an adventure for you.